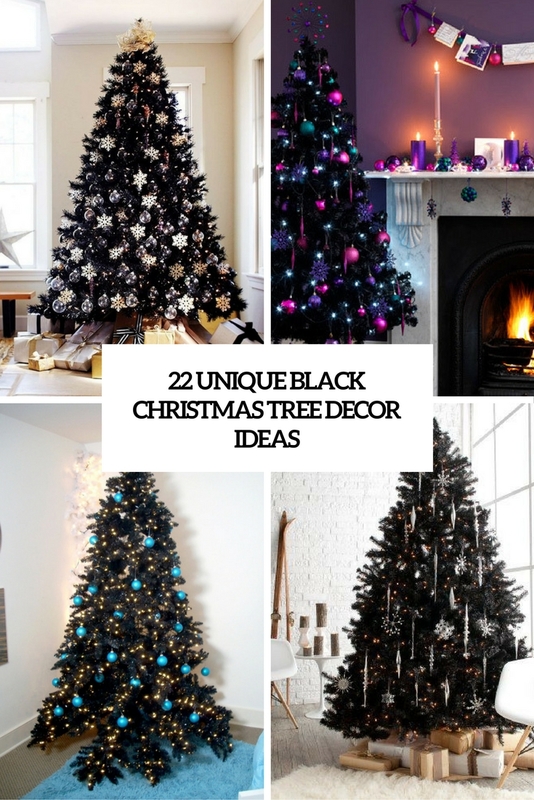 If you are tired of traditional red and gold Christmas décor and want to find something really unusual and make a statement, I have an idea for you: black Christmas décor! 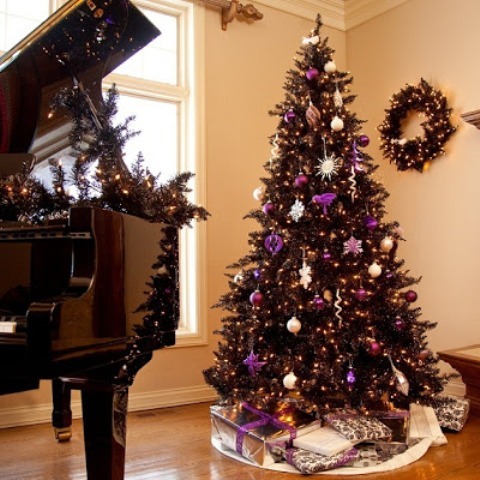 Black is a new black, it’s pure classics that can be mixed and matched and incorporated into every décor style. Black goes well with white, ivory, gold, silver, navy, pink, fuchsia and almost any color you can imagine, and it always brings chic! 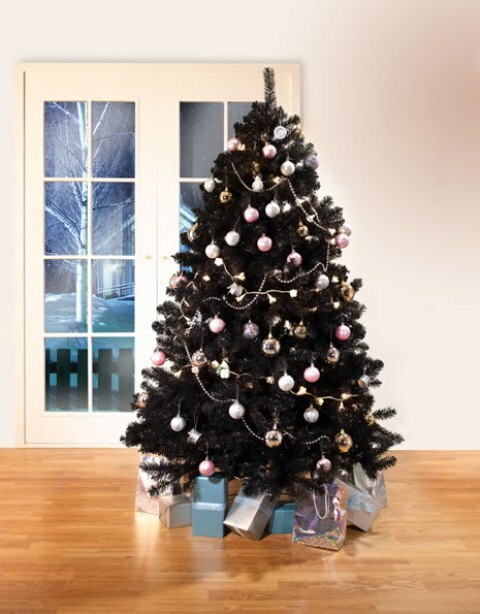 Even if you’ve already tried black and white and black and gold Christmas décor, there’s a thing that is sure to surprise all your guests: a black Christmas tree. 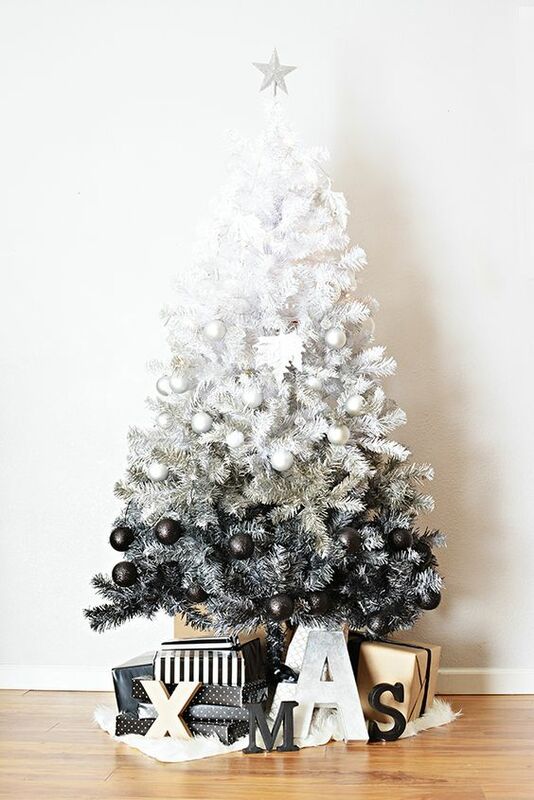 It’s an amazingly chic, modern and fresh take on a traditional evergreen piece, it looks much more chic than any other color. 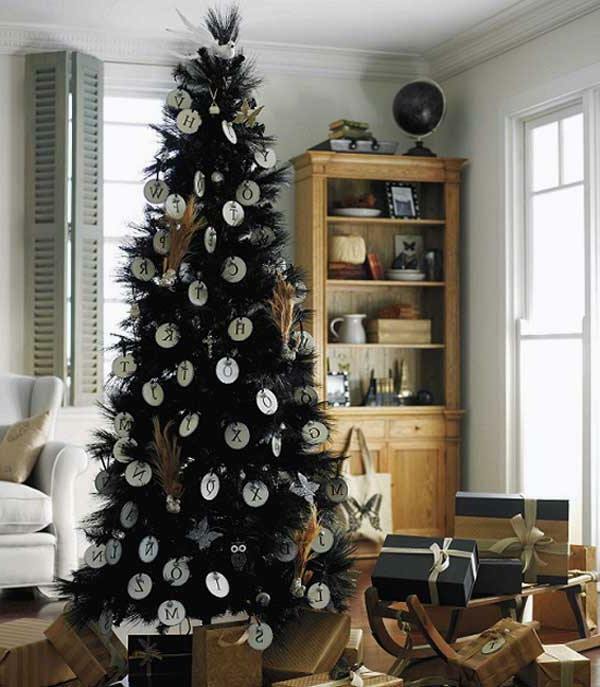 Yes, a black Christmas tree is a statement itself but if you decorate it in a proper way, you’ll get a fantastic piece. 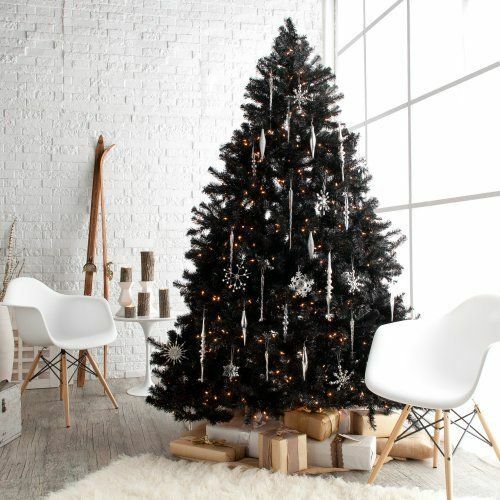 A black Christmas tree automatically makes your space more refined and you can emphasize this feeling with the right décor. 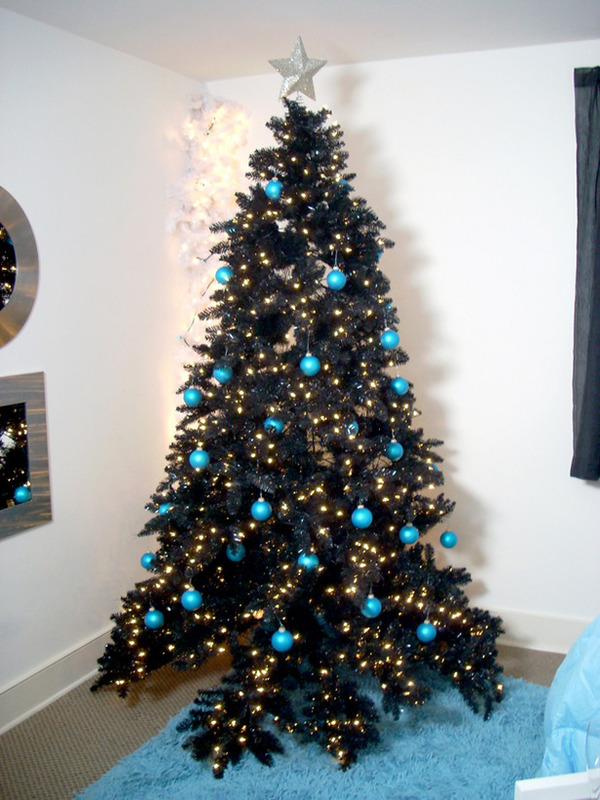 If you add just lights and won’t use any other décor, the tree will look very chic, modern and bold, you will highlight its texture with these lights. 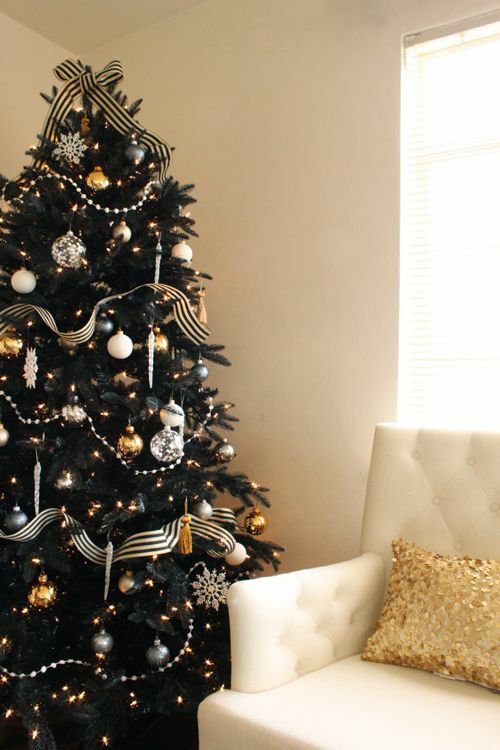 Black looks stunning with gold and silver, so if you opt for these color of ornaments and garlands, you will make your Christmas tree sophisticated. 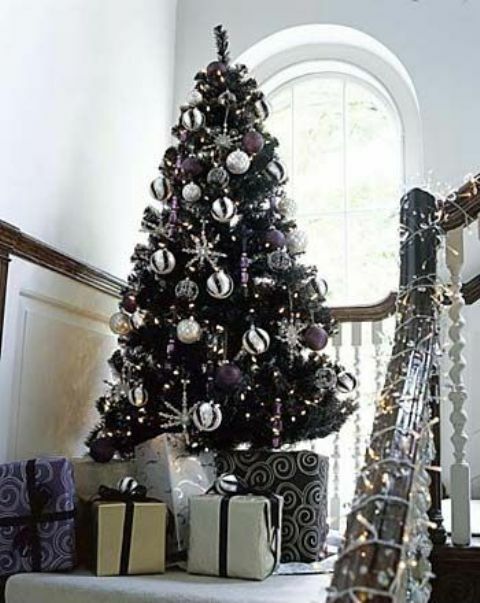 Purple and silver also look eye-catching with black, so try these colors, too if you want a cool tree with a refined twist. 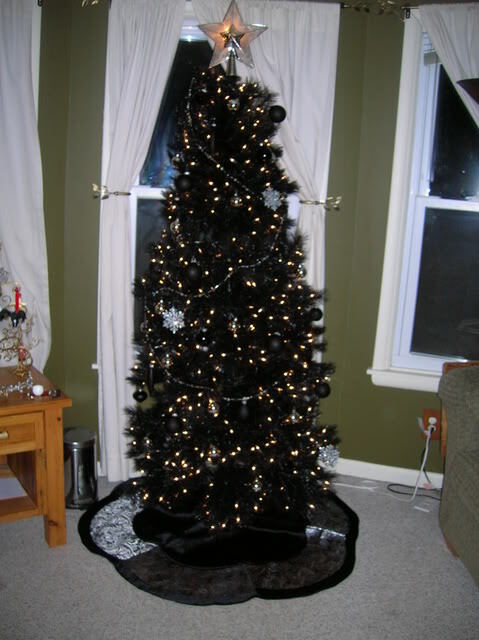 Of course, gothic and dark romance are the first words that come to your mind when you hear ‘a black Christmas tree’. 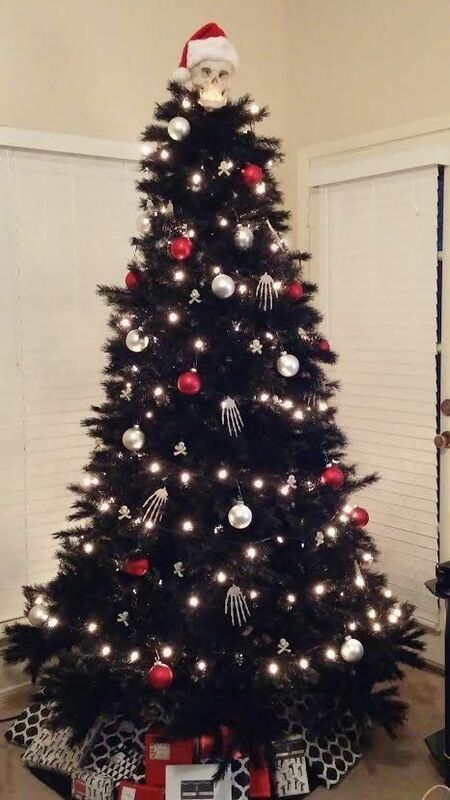 Decorate it with vintage ornaments or make a Nightmare before Christmas-inspired tree with skeletons, ornaments that remind of the cartoon and a skull for the top of the tree. 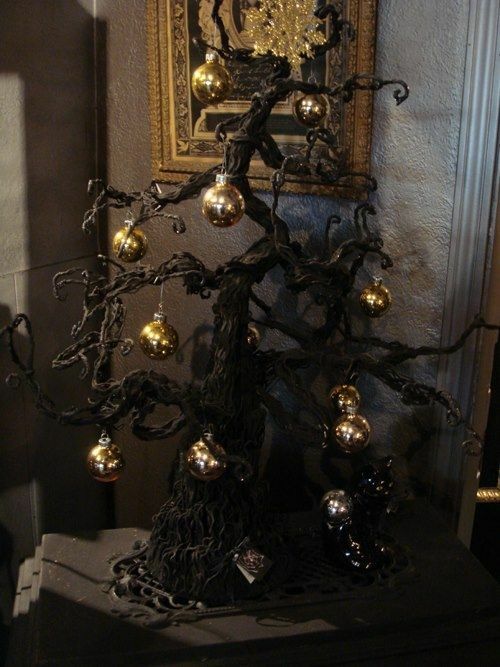 Rock a unique bald black tree with just some gold ornaments to remind of Halloween. Think that black is only for goths? Nothing of that kind! 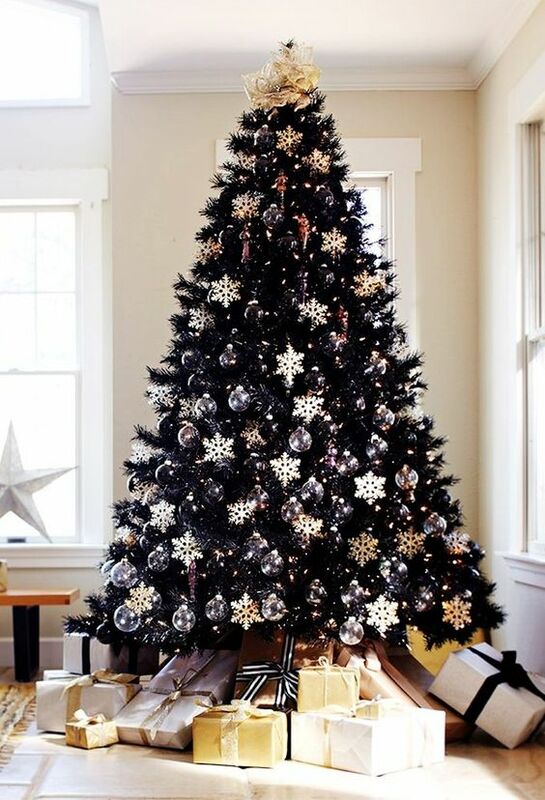 Black is classics that can be easily turned into glam and glitz, and a black Christmas tree will easily prove that to you. 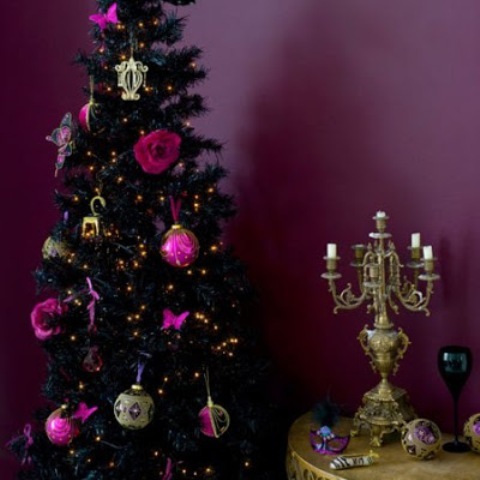 choose glitzy glam ornaments in gold, silver, pastel pink and blue, or on the contrary: hot fuchsia, pink, red and purple ones to make the tree stand out. 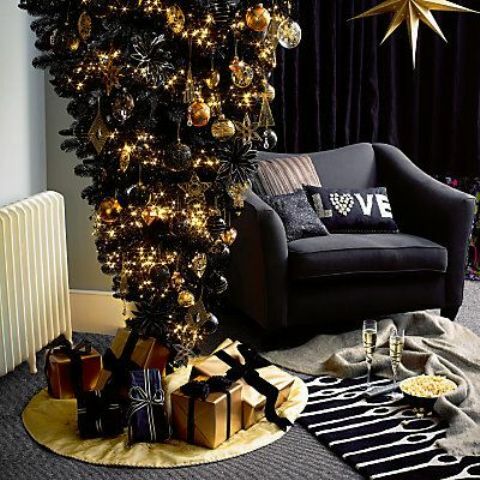 Rock an upside down Christmas tree decorated in black and gold, I can’t imagine anything more refined. 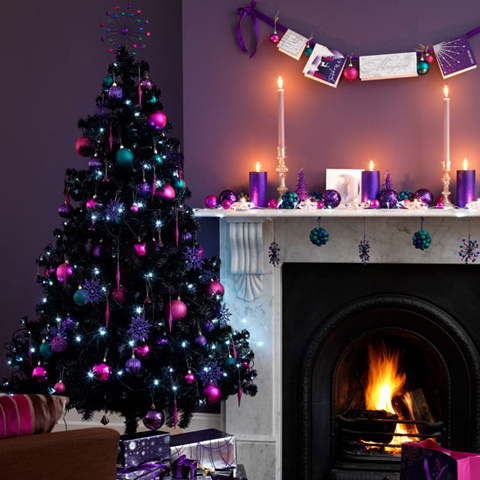 Let it sparkle and light up your glam Christmas! 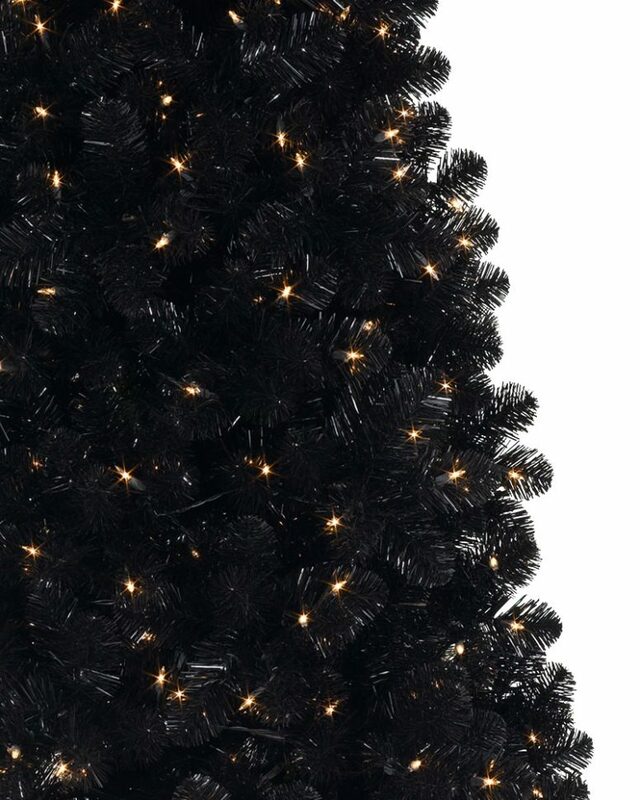 If you are tired of traditional trees and colors, black is your choice. It will make a statement with its color, even if you rock usual ornaments. 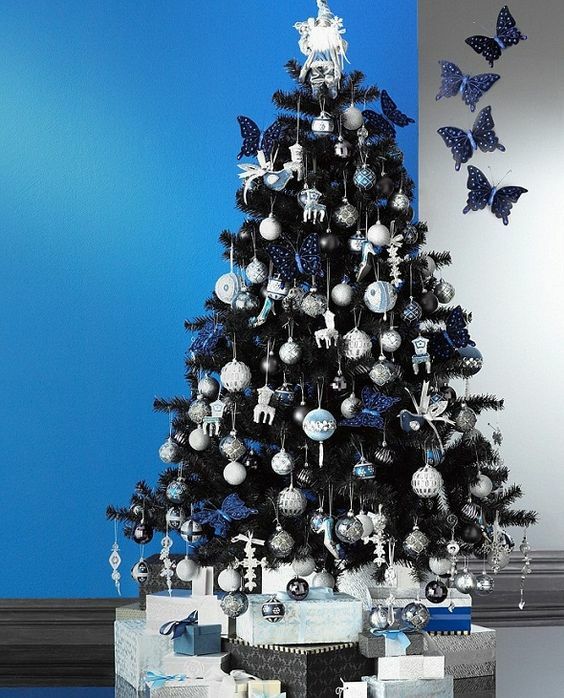 To make it look eye-catching, use turquoise, navy, silver or white ornaments, snowflake and icicle-shaped decorations. 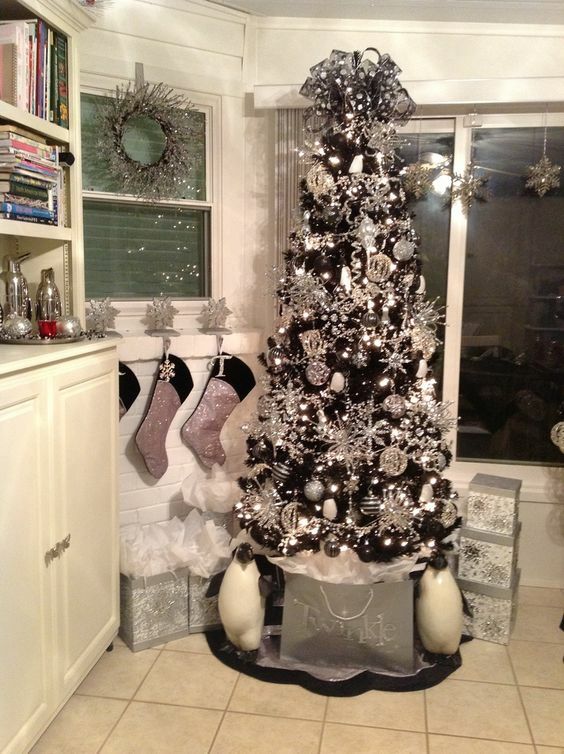 Buy an ombre black and white tree and decorate it with matching ornaments. 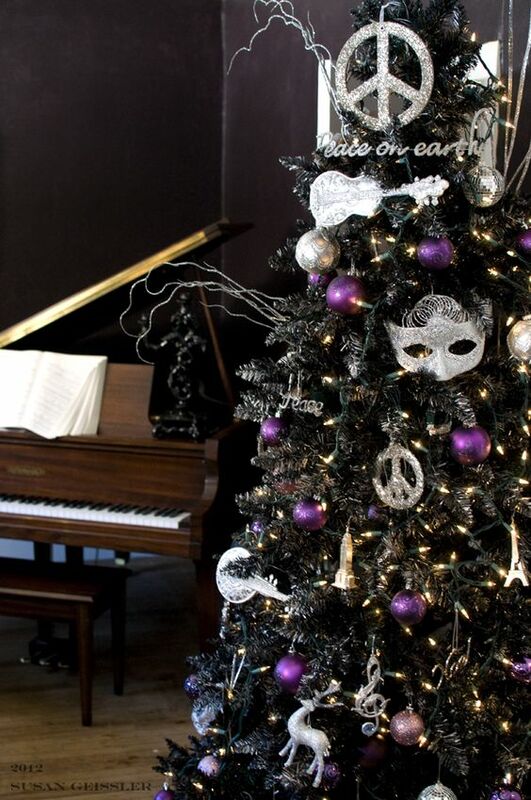 Have a bold Christmas!